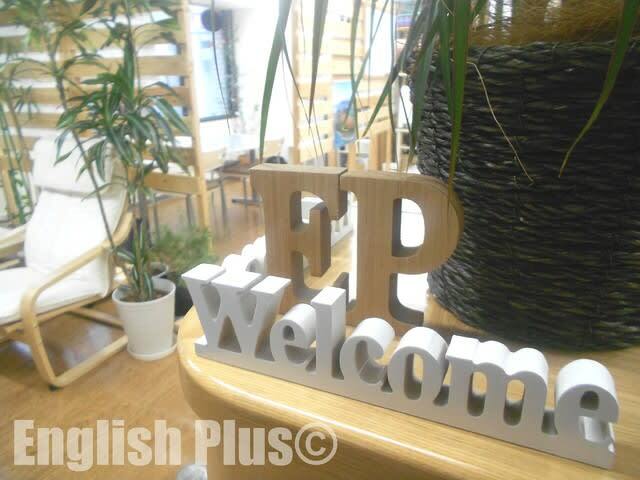 Good morning and thank you very much for your precious time to visit English Plus blog! Today, let's learn and practice some basic English. There are a wide variety of lessons available at English Plus, and one of them is "Skill-Up Conversation". This Skill-Up Conversation has 6 different levels, and students can learn and practice basic English vocabulary, grammar, expressions, and pronunciation for English communication. The main aim of Skill-Up Conv course is that our students master some basic English skills, and gain confidence to communicate in English. In order to do so, through the lessons, students learn fundamental vocabulary, grammar points, and so on, and after that they have enough time to practice using what they learn during lessons. It might take some time to master basic English skills; however, we try to support our students by offering lessons and self-study support. If they take lessons regularly and do self-study in their free time, they can improve English skills a lot faster than we expect. Through this Skill-Up Conversation course, our students learn a lot of basic English, and one of the most important grammar points is "Questions." There are a lot of kinds of questions in English, and today let's focus on "Whose Questions." Please read the following sentence. "The bag is my sister's." When we make a question to answer the sentence above, we can make a question like "Whose is the bag?" Now, let's read the sentences below and try to make "Whose questions" to match the questions and answers. 1. This umbrella is mine. 2. Those are his shoes. 3. It was my co-worker's idea. If you can make questions smoothly, wonderful! If you want to know the answers, please check below. Let's study English every day, and gain confidence! For more information about English Plus' lessons and any questions about us, please contact us fromEnglish Plus Official Website. 今日の答え："1. Whose umbrella is this? / 2. Whose are those shoes? / 3. Whose idea was it?"